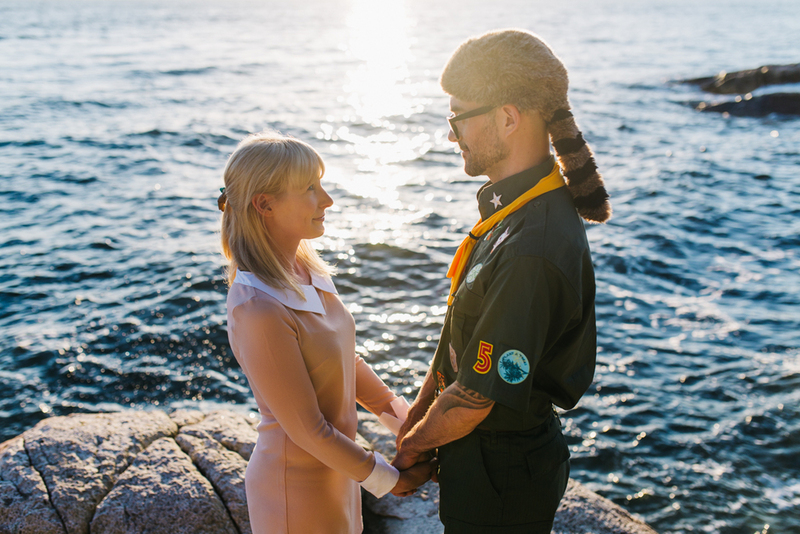 This was a Wes Anderson inspired engagement session. 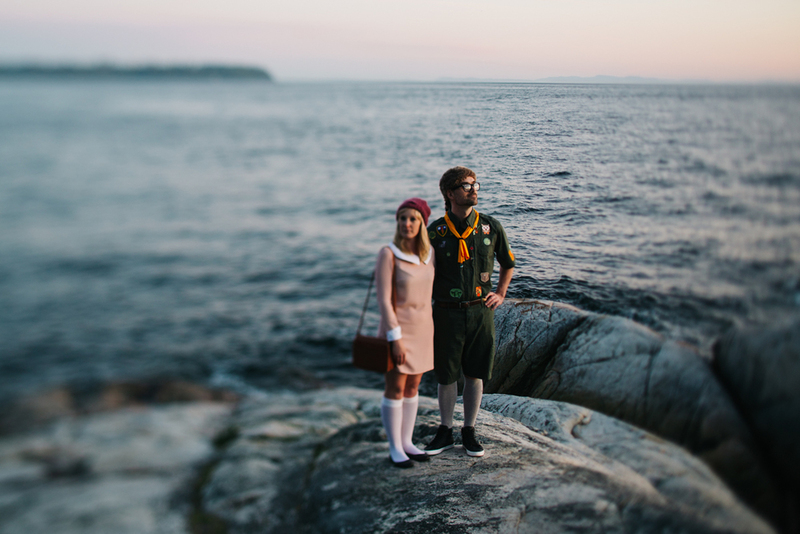 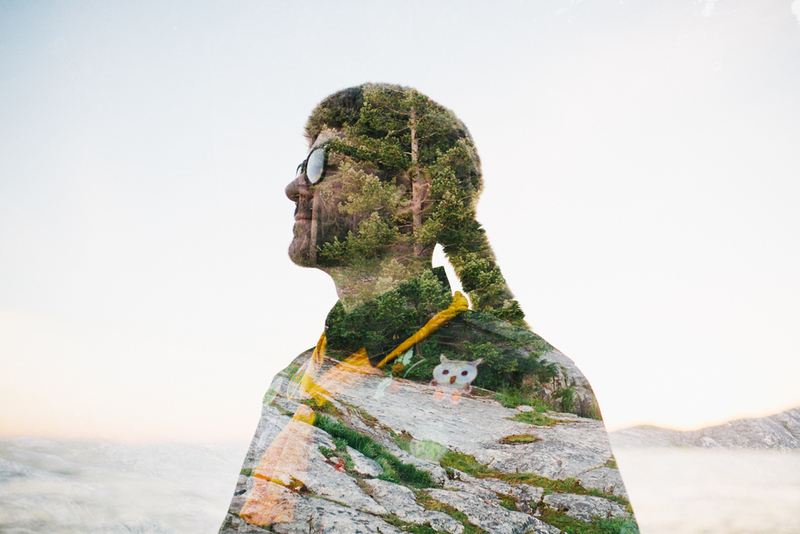 Decked out in full costume, Amanda and Kevin re-created scenes from one of their favourite movies, Moonrise Kingdom. 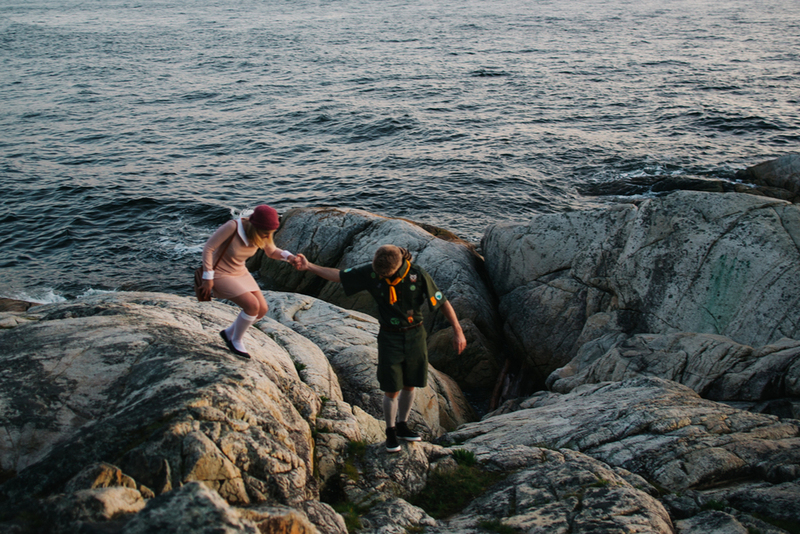 With their bags packed, these two lovers took off on an adventure. 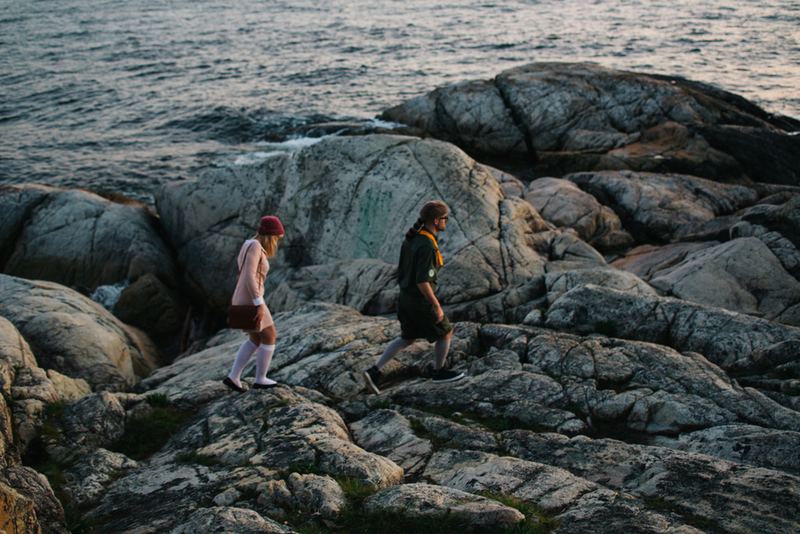 They danced on the rocky shores and walked hand into the sunset.